The days of having different bits of your health and fitness data locked into half a dozen apps are numbered: At its Worldwide Developers Conference on Monday, Apple unveiled HealthKit, a suite of new tools for developers that will enable them to integrate your health data into new apps (including one from Apple called Health) in iOS 8. Right now whatever data is collected by your various activity-tracking apps and devices typically remains siloed inside of those apps. Your Fitbit stats live in Fitbit, your RunKeeper runs stay in RunKeeper, and the data collected by your Withings Blood Pressure Monitor live in the Withings app. Some developers already choose to provide APIs for other developers to use that data—so, for example, my Fitbit steps can show up in the Pact app. Apple’s HealthKit tools take that sharing to the next level, by letting any health and fitness app report into a common database of stats. Apple's own composite Health app is designed to give users a big-picture look at their entire health profile: exercise, sleep, eating, and even metrics like blood pressure and glucose levels. 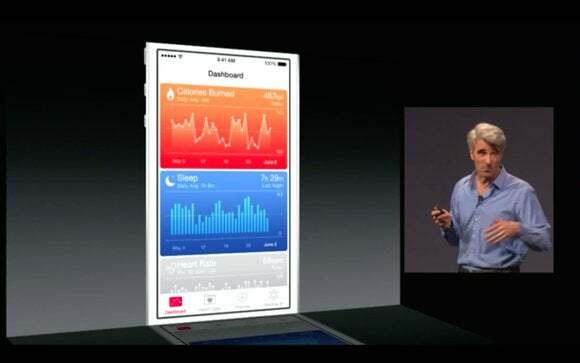 Apple made Health customizable: you can monitor the metrics you care about, from multiple apps. Nike will be one of the first third-party apps supported by Health, thanks to its long partnership with Apple. Other apps teased on stage at the keynote include Fitbit, iHealth, and Wahoo Fitness. By pulling data from multiple apps into a single dashboard, the Health app could let you keep a closer eye on trends. You might notice, for example, that you get better sleep on days that you exercise. The Mayo Clinic provided screenshots of its under-development, HealthKit-integrated app. But Health is meant to do more than show users their data—the app wants to make it possible for you to share your health information with your doctor. To start, Apple is partnering with the Mayo Clinic. The revered hospital is developing an app that integrates with HealthKit and provides patients a handy dashboard for monitoring metrics like calories eaten and burned, weight, and blood pressure. The Mayo Clinic app can flag values that could be cause for concern—say, elevated blood pressure—and provide actionable tips or prompt the patient to contact their doctor. During the keynote, Apple’s Craig Federighi even mentioned that the Mayo Clinic could contact patients directly. 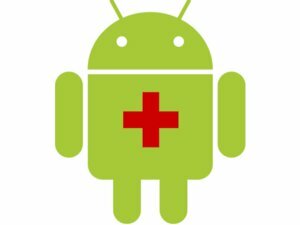 Another early HealthKit partner is Epic Systems, which provides software for hospitals and healthcare organizations such as Stanford Hospital & Clinics, Kaiser Permanente, Sutter Health, the Cleveland Clinic, and many more. By making it easy for patients to communicate with their primary healthcare providers directly from their iPhones, the Health app could be a boon for getting people to pay better attention to their health, and let patients and doctors spot potential problems before they become serious. Epic Systems provides software for many prominent healthcare organizations. If yours is on this slide, HealthKit integration could be coming your way. We’ll get a closer look at Health when iOS 8 launches this fall. But if it works as promised, having a one-stop app with all your data is a needed step for health and fitness apps. Instead of a little slice of detail about your quantified self living in each app, we’ll get a bigger-picture composite profile that can provide better insights on our health, ready to share with our care providers—or keep totally private. This story, "Apple unveils HealthKit to integrate health and fitness data in iOS 8" was originally published by Macworld.